In a perfect world I find myself on a safari vehicle camera in hand, the wind gently moving the air to take the bite out of the relentless sun while the bush is alive with all sorts of wondrous activity. Each day presents something new and exhilarating and each night the stars fill the heavens. And I am at peace! The reality, of course, is much different and I find myself at the keyboard of a computer instead. The words do not flow easily and as I search the recesses of my brain to express myself I have to be content with the consolation prize that is the bank of photographs that represents my travels. Each journey unlocks new experiences and secrets that the bush shares only with the patient, vigilant and knowledgeable. One of the downsides of Wildlife Photography is that each day spent away from the bush represents another day of undiscovered mysteries and stories that cannot be told. 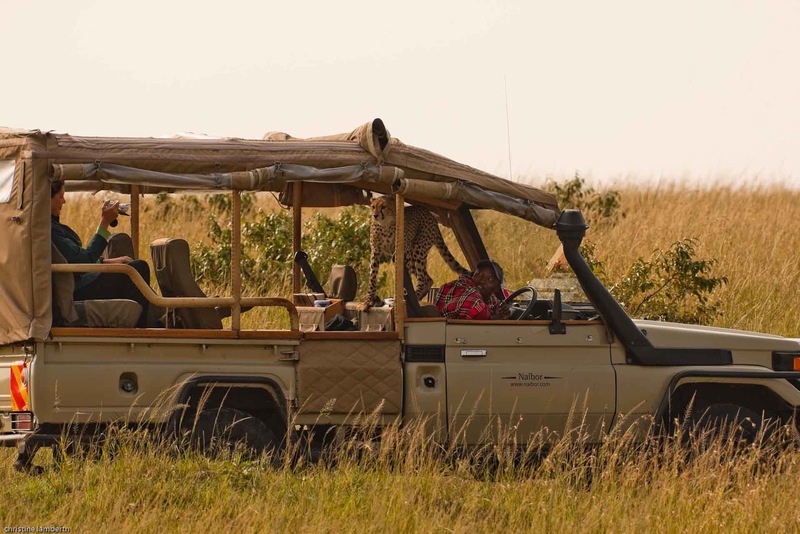 However, in the little time that I am afforded to share in the magic, one story worth the telling has played itself out on the plains of the Masai Mara. It all unfolds towards the end of 2010’s Wildebeest Migration in the Masai Mara. A mere three weeks after my visit to the Mara in September photographs emerge of a Cheetah female with six cubs in tow. 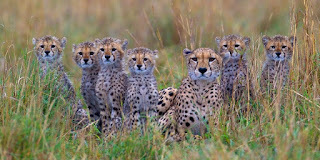 For the Mara this is not a recordbreaking figure as it appears there was a Cheetah who produced eight cubs. 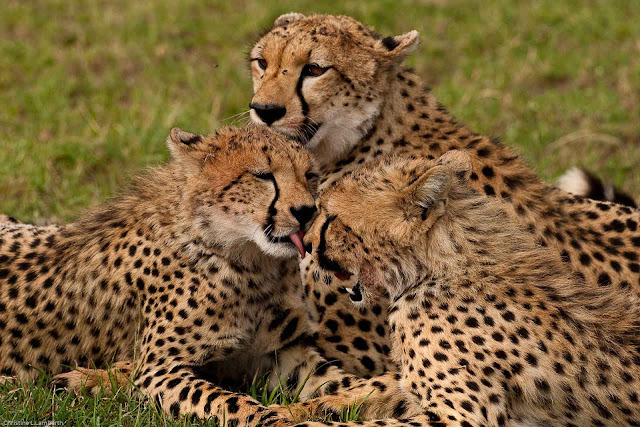 But, as Cheetah's go, the normal litter is three to four cubs. 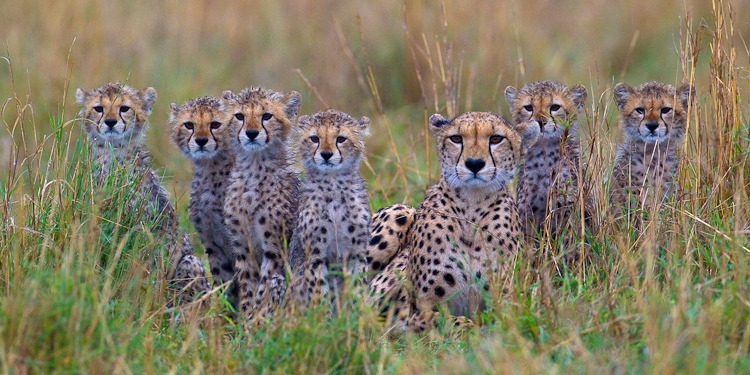 Therefore, six cubs makes for an exceptional story. 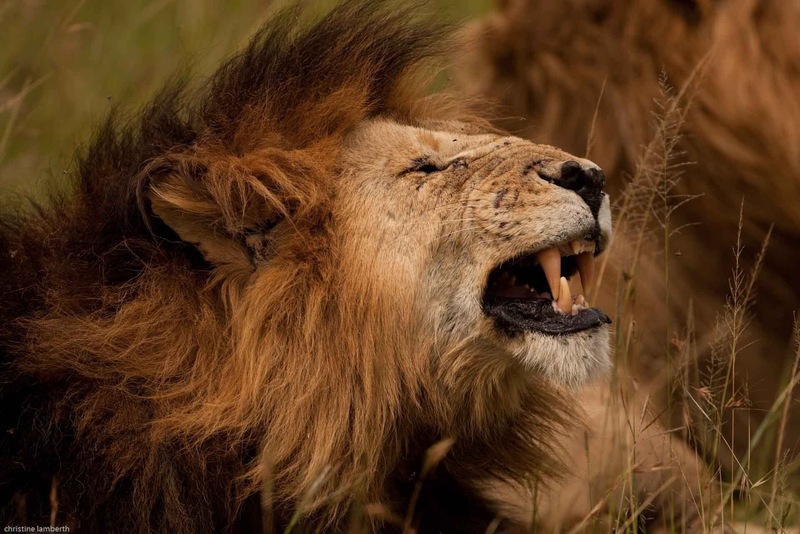 The first photographs I see belong to a fellow photographer Isak Pretorius who had been leading a C4 Images Safari in the Mara. 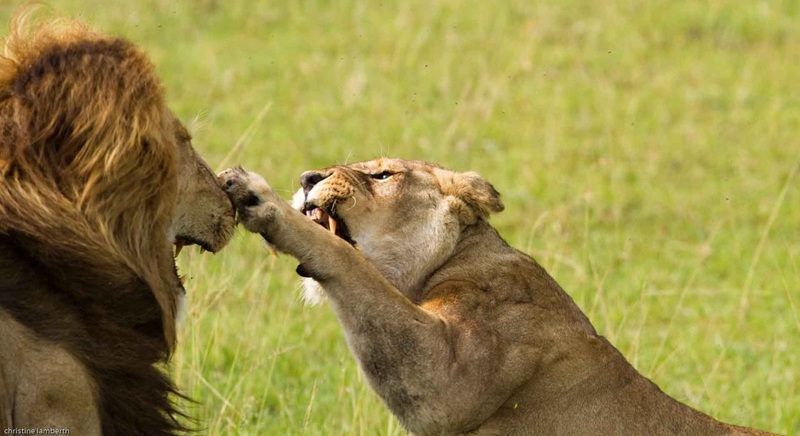 My jaundiced eye views these extraordinarily emotive images and I instantly fly into action to book a trip back to the Mara but this is only possible a long nine months later. In the subsequent months I have to be content with social media to feed my curiosity. From this it becomes evident that Shingo and her six cubs are not only surviving the perils of nature, they are thriving. 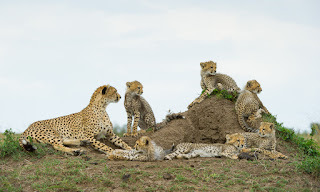 As I touch down on the runway at Olkiombo in the Mara my first thoughts are of this amazing Cheetah and her offspring. A perfunctory enquiry to our guide, Samy, produces the right answers. Yes, she is still doing well along with her six cubs. Its 3pm and our first drive starts out with the normal Mara conditions. More animals than can be counted surrounding us at every turn. We make a beeline for where we believe Shingo is hanging out for the day. The reward comes fast. This efficient predator of the African Plains has produced dinner for her offspring. 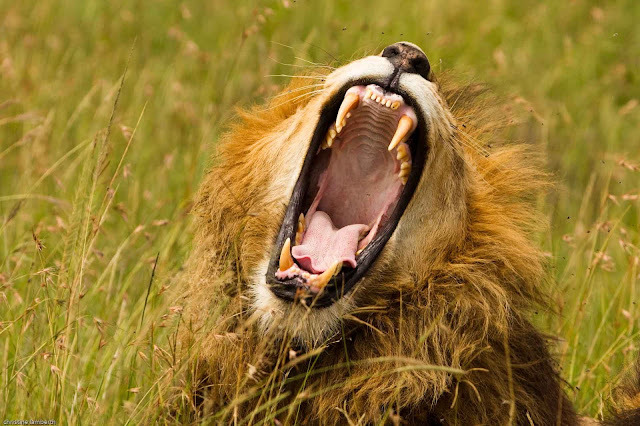 I would like to take a moment here to reflect on the magnificence and resilience of what must surely be the most admirable of the African big cats. By comparison to the Lion who has a whole pride to provide and care for three to four cubs at a time and the Leopard who seldom produces more than two offspring at any one time this delicate big cat single-handedly manages to raise her offspring. 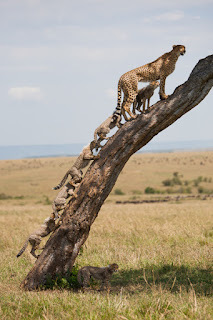 Granted at 70km/h top running speed she has an advantage that is difficult to beat, but considering that she would weigh no more than 40 to 50kgs it is indeed a feat of note to consider that any single animal would be able to be responsible for the care and sustenance of 6 cubs. 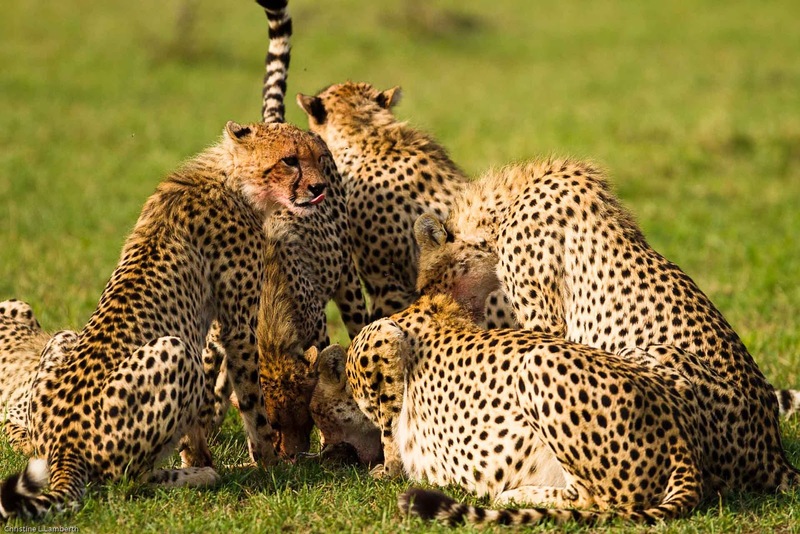 In our second encounter with the Resilient Seven we witness some Mara Behaviour started by a Cheetah female Amber, who until 2011 it would seem, was the only Cat to use the game drive vehicles to her advantage. Now, it would seem, some of the Shingo crew are going to follow suit. Their curiosity, it seems, knows no bounds and as the group must be so accustomed to the moving “rocks” that accompany them each day on their wanderings, what can be better than to perch on the highest vantage point around. From reports on the day it appears that it is not the first time a vehicle has been explored by one of the Resilient Seven but it makes yet another day like no other on the plains of Africa. Hopefully, we will be able to track the lives of these seven remarkable individuals for many moons to come. Through the ages great stories of Africa have emerged from explorers and adventurers. The greatest of these stories must surely be of David Livingstone marching ever forward to discover and see what no white man had seen. Following his exploits many wonderful and magical stories have emerged and as the world has developed and become more “civilised” there are less and less of these tales to tell. However, for the patient and the persistent, Africa is still yielding up tantalising little titbits that keep us in awe and wanting more. The first inkling of a secret to be uncovered comes as we bump along the track on our very first morning drive. There, in the open plains, with the break of dawn just moments away on the horizon, is a mating pair of lions. Their exhausted bodies lie next to each other with the long golden grass almost hiding their activities. We quietly sit and wait for the sun to emerge from its night slumber and watch the story unfold. The lioness suddenly moves and the ever vigilant male instantly reacts. In a flash of movement the two come together followed by a magnificent display of retracted snarling lips revealing deadly sharp incisors. 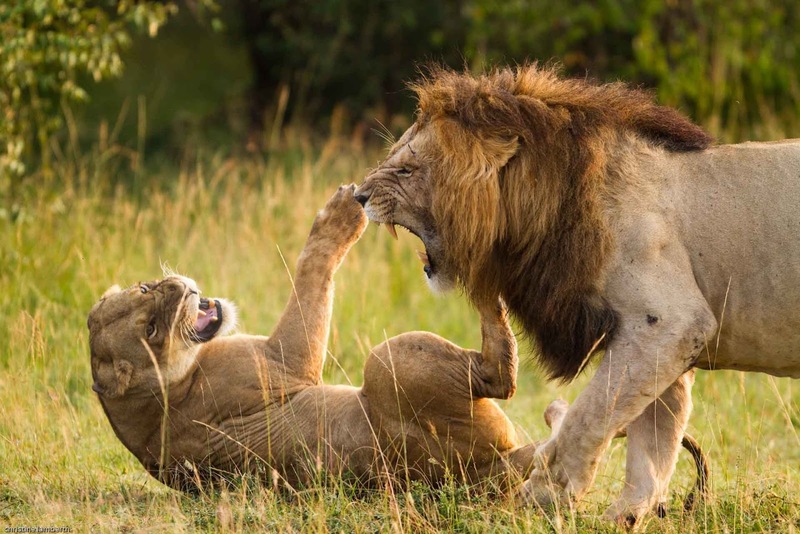 An agonising growl emerges from the male and in reaction the female twists and bares her fangs while spitting and growling. The male hastily retreats and avoids the outstretched talons of the female. Once again they lie down in the long grass and instantly appear to be fast asleep. In another twenty, or so, minutes they repeat the whole process again. It is a wondrous spectacle and we leave the scene awestruck while silently pondering on the complex nature of the African bush. The tale does not end here and a few days later as the day is drawing to its end with the sun dipping towards the western horizon we are introduced to the Notch Boys. A stone’s throw away from the Talek River lying in the grassy plains we meet four magnificent lions. 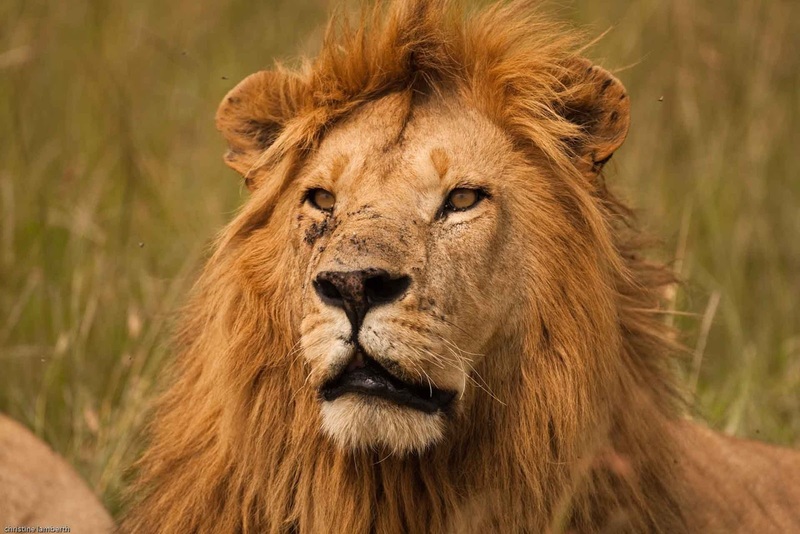 Their heavy black manes are entangled and unruly, their noses and faces reveal both fresh and old scars denoting a life that is fraught with danger at every turn. Even though they are lounging about lazily doing what lions do best their muscular frames speak of animals at the peak of their existence. Our intrepid guide Samy reveals to us a story both incredible and wonderful. One of the magnificent four is the father while the other three are his sons. 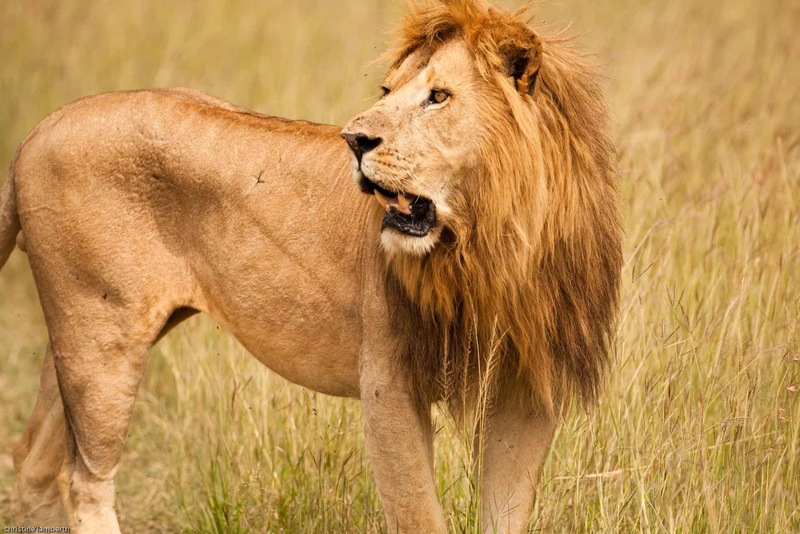 Then there is another son, missing in action, so to speak, as he is the lion we saw mating just a day ago. This is the most powerful coalition of male lions to grace the plains of the Mara in 18 years. 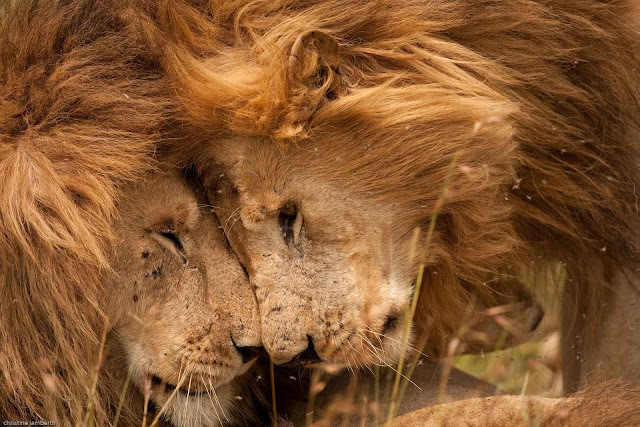 They have ousted all the other males in a huge area occupied by three prides of females and they move from pride to pride to ensure that their genes are the ones being carried forward for posterity. 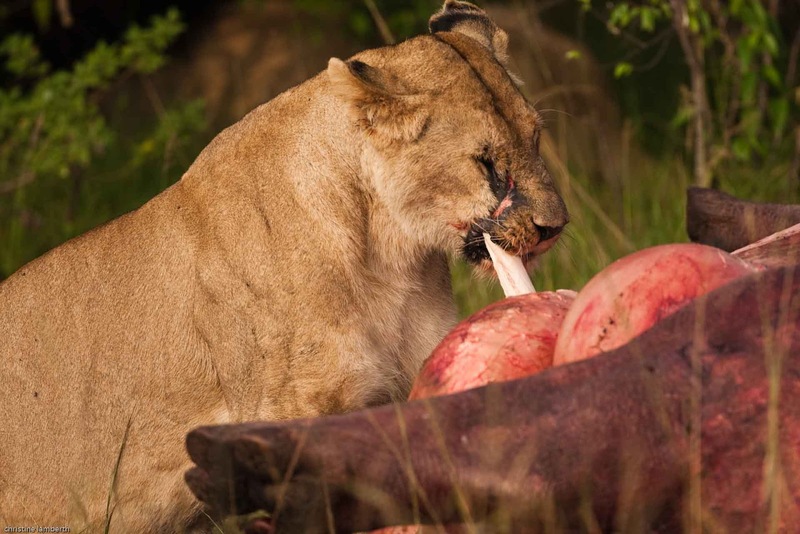 This coalition, in complete contrast to other males attached to a pride of lionesses, catch their own prey and do not rely on any lionesses for their sustenance. As they lie sunning themselves inamongst the rustling grass a bonding ritual slowly unravels before us. 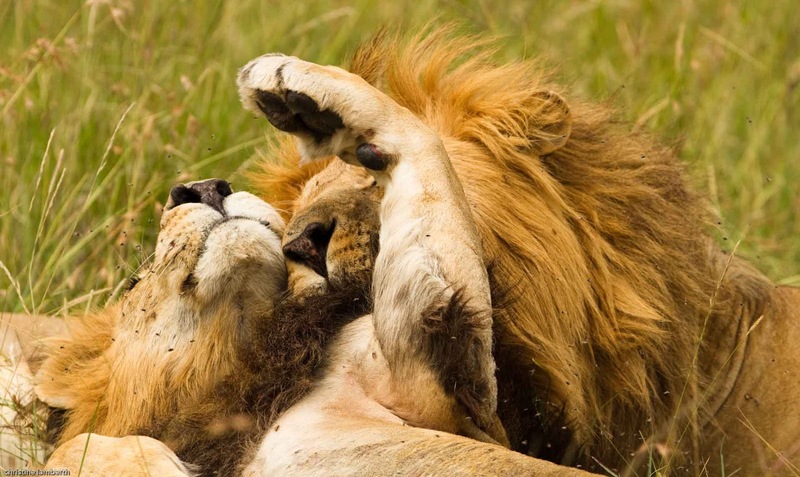 In a slow deliberate dance these powerful beasts roll around, their bodies pressing up against each other, then slowly moving away again while nuzzling each other as though they are the tiniest cubs. Noses and foreheads touch, tails swish over each other, paws gently prod while legs and paw pads move to and fro in a series of seemingly choreographed steps. Paradoxically they appear to be a group of harmless kitty-cats enjoying the late afternoon sun and are reminiscent of the Disney portrayal of the King of the Beasts. As we drive away from this moving scene we speculate that the hollow torsos are indicative of feast night for the Notch Boys. The following morning we drive back down to the Talek River in search of new sightings but are instantly driven back when we hear that the speculated feast is taking place. The kitty-cats of yesterday turned into the mean machines overnight when they killed a fully grown hippopotamus. At the banquet table we find the four boys have feasted all night. They are fat and full, their stomachs tightly distended. However, they are jealously guarding their kill. Throughout the morning there is always one or the other lying near the now fast rotting carcass and the jackals and vultures are circling ever nearer to see if they can get to share some of the bounty. Later that morning when we take another driveby the feast we find that bizarrely, the mating pair has decided to take a break and have a quick meal. 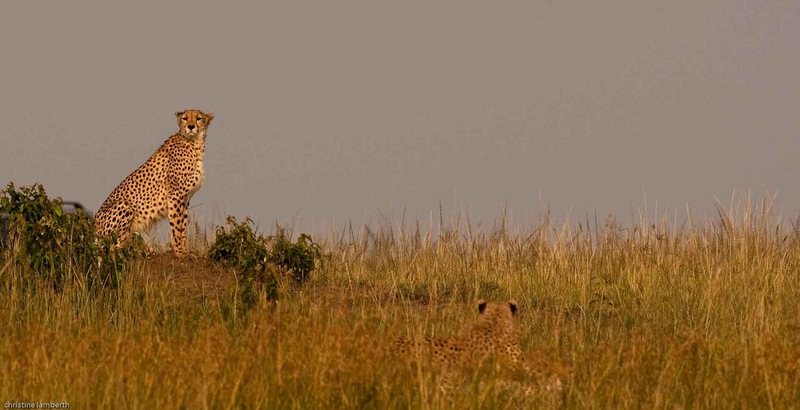 And to add to this break in the behavioural leo panthera conduct we also notice that the mating pair has done a switch. One of the other brothers is now suddenly with the lioness. While we are circling around looking for photographic opportunities another lioness from the same pride as the mating lioness joins the group and woe behold we have two mating pairs of lions lying metres away from one another. Photographic heaven or hell? 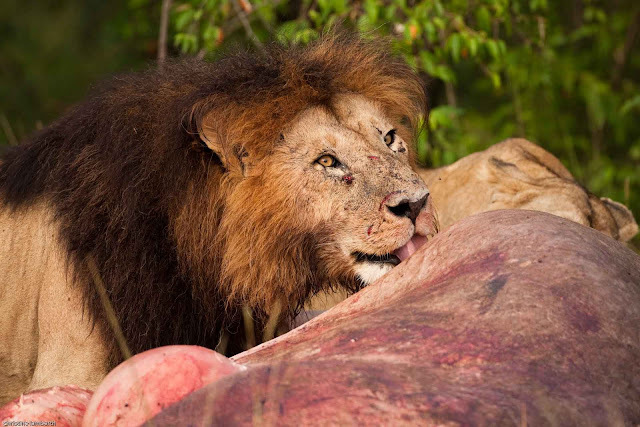 I find I do not have enough cameras as the action takes place all around, lions drinking water at the stream, lions mating, lions eating and jealously guarding their meal, circling vultures and jackals gingerly moving in towards the carcass. Africa has once more unravelled a little snapshot of its mystery and its beguiling magic. Its call goes out and if we listen and become finely attuned to it we will drive ever forward to protect it so that we can share in this Shang-ri-la.